Are you looking for a company that does CCTV/Access control in Barking and Dagenham? SAS Projects is the ideal company for your CCTV/Access control project in Barking and Dagenham. We have many years experience in CCTV/Access control and other services in Barking and Dagenham. Our highly skilled team can provide a trusted services including project management and delivery. We have been serving companies and delivering projects in and around Barking and Dagenham for over 10 years and have becuase a trusted and respected partner on many projects. Our CCTV/Access control team have the experience, knowledge and skill to deliver your project on time and on budget. Closed Circuit Television, also known as CCTV, is a video monitoring system that has been used in the UK since as early as the 1940s. Using strategically placed video cameras, footage is captured and then broadcast to either a private network of monitors for real-time viewing, or to a video recorder for later reference. In recent years it has become an increasingly important factor in security and surveillance for both commercial buildings and residential properties alike. Access control systems restrict entry and exit from homes and buildings. From the basic, single door entry kits for residential properties to the sophisticated video entry systems required by large businesses or factories, access control systems are a cost-effective addition to your security strategy. Using audio and video door entry telephones as well as electronic keypads, card readers and proximity devices for commercial customers, businesses can now completely control who has access to their property. We supply high quality security packages to suit all requirements and budgets. Our security cameras and access control systems are tailor made for each individual storage facility, insuring that both your customers needs and your location is taken into consideration. We can also ensure that you have CCTV covering all important areas including aisles, entrances and exists and all external areas. We also provide door alarms to help improve the security of your storage facility, the well-being of your staff, and the peace of mind of your customers that their goods are safe. The system itself is easy to use. You are able to control who comes in and out, lock out late payers, and control the roller doors and gate access - all at the press of a button. 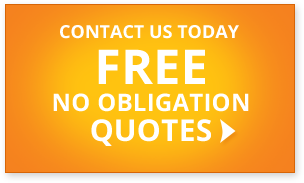 for a fast, free, no-obligation quote or to discuss your cctv/access control project.